They say Yoga adds years to your life and life to your years. Hailing origin from India, Yoga has taken the world on a riot in the past few decades. From Baba Ramdev to renowned celebrities like Shilpa Shetty and international stars like Julia Roberts and Lea Michele — all swear by it. 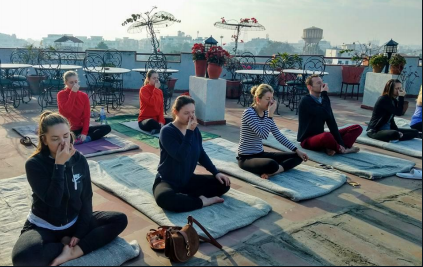 A yoga enthusiast from the city – Mita Kakkar creatively combined her knowledge of yoga with the zeal among foreign tourists to learn yoga. 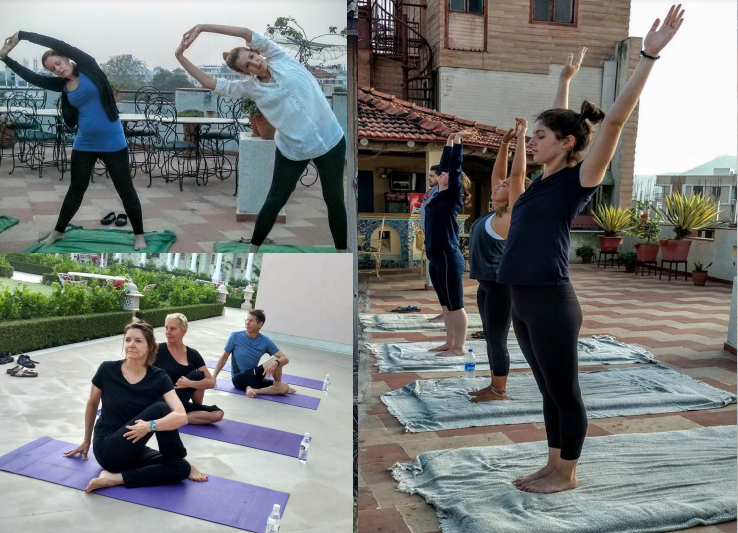 This led her to curate a yoga regime solely for foreign tourists visiting Jaipur. 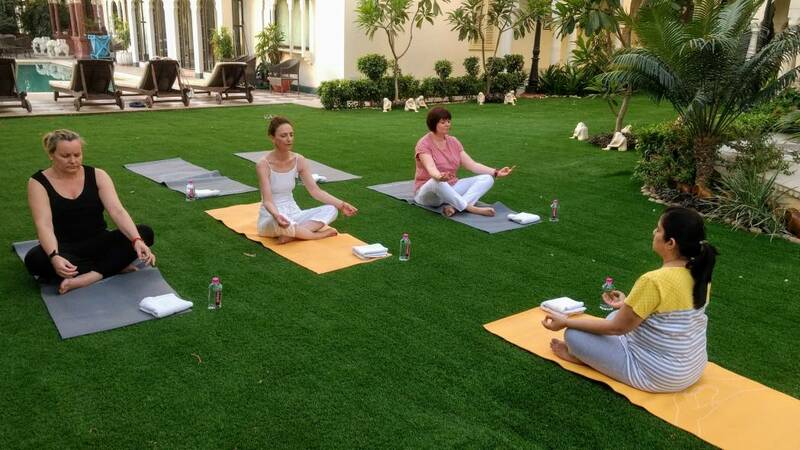 Mita gets regularly invited by heritage hotels and guest houses to conduct yoga sessions for their foreign guests. In a short span of two years, Kakkar has trained over 1000 foreign tourists from across the globe. Her yoga regime consists of hour long training sessions in which she introduces the participants to the various asanas with detailed techniques. Special focus is also given to Pranayama (Breathing) and Dhyana (Meditation). Besides teaching postures and exercises, a major component of her yoga training also includes breaking myths about yoga as well as discussing its origins, advantages and precautions one must take while practicing certain asanas. After attending a yoga session with Mita, one can also seek from her post session guidance through online video chats wherein she resolves any doubts one many have. Besides, she also gives advanced techniques and suggestions. It is worth noting that Mita was also invited by the Rajasthan Tourism Department for taking a workshop on World Museum Day and to connect with new as well as existing followers. 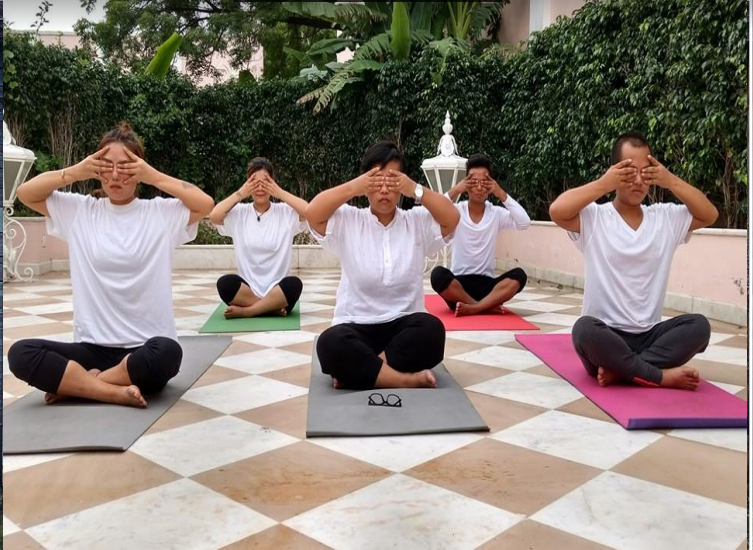 Furthermore, she also hosted an exclusive yoga session with the Ambassador of Bolivia, Mr. Juan Jose Cortez Rojas. In the session she practiced several yoga asanas with him as well as discussed in length the origins and advantages of Yoga. Looking at the craze for Indian cuisine and authentic cooking among foreign tourists, Mita has also started a new venture wherein they can cook and dine with her. Indeed, a great way to combine passion with work.